George Walker Bush is an American politician and businessman who served as the 43rd President of the United States from 2001 to 2009, and the 46th Governor of Texas from 1995 to 2000. 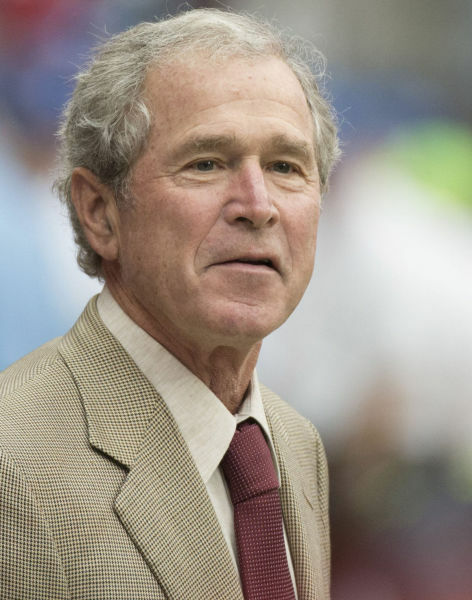 George W. Bush (1946-), America’s 43rd president, served in office from 2001 to 2009. Before entering the White House, Bush, the oldest son of George H.W. 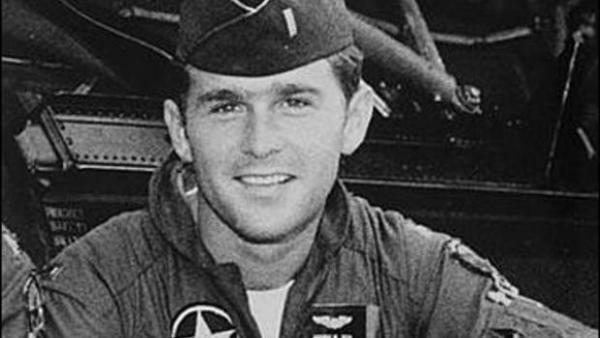 Bush, the 41st U.S. president, was a two-term Republican governor of Texas. A graduate of Yale University and Harvard Business School, Bush worked in the Texas oil industry and was an owner of the Texas Rangers baseball team before becoming governor. In 2000, he won the presidency after narrowly defeating Democratic challenger Al Gore. 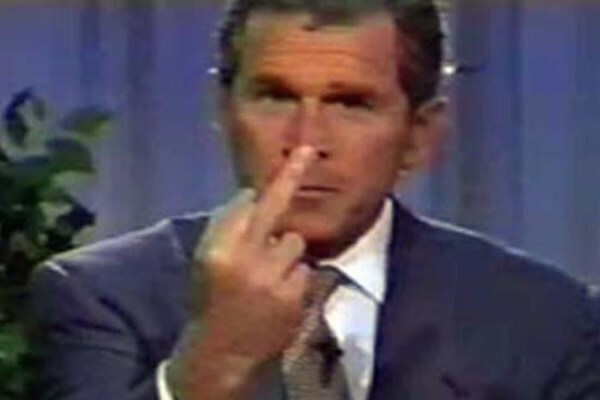 Bush’s time in office was shaped by the September 11, 2001, terrorist attacks against America. In response to the attacks, he declared a global “war on terrorism,” established the Department of Homeland Security and authorized U.S.-led wars in Afghanistan and Iraq. 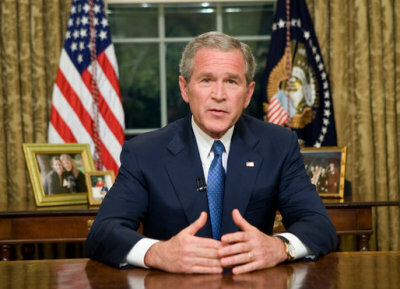 Bush’s first term in the White House was dominated by the September 11, 2001, terrorist attacks against America, in which nearly 3,000 people were killed, and their aftermath. The following month, in response to the attacks, the United States invaded Afghanistan in an attempt to overthrow the Taliban government, which was suspected of harboring Osama Bin Laden (1957-2011), leader of Al-Qaeda, the organization responsible for the 9/11 attacks. The Taliban regime was quickly toppled; however, Bin Laden was not captured for another decade. With the goal of protecting the United States from future terrorist attacks, Bush also signed the Patriot Act into law created the Cabinet-level Department of Homeland Security, which was officially established in November 2002. Then, in the spring of 2003, the United States invaded Iraq in order to overthrow leader Sadaam Hussein (1937-2006), whose regime was accused of supporting international terrorist groups and possessing large caches of weapons of mass destruction (WMD). In December 2003, U.S. forces captured Hussein (who was later executed by Iraqi officials); however, no WMDs were ever discovered. Also in his first term, Bush won Congressional approval of widespread tax-cut bills and the Medicare prescription drug coverage program for seniors; signed the No Child Left Behind Act into law; allocated billions of dollars to fight HIV/AIDS around the world; created the White House Office of Faith-Based and Community Initiatives, and withdrew America’s support of the 1997 Kyoto Protocol, which was signed by President Bill Clinton and was intended to combat worldwide global warming (Bush said he was concerned that the international agreement’s requirements would hurt the U.S. economy). Bush enjoyed strong public approval ratings throughout much of his first term; however, during his second term his popularity plummeted. 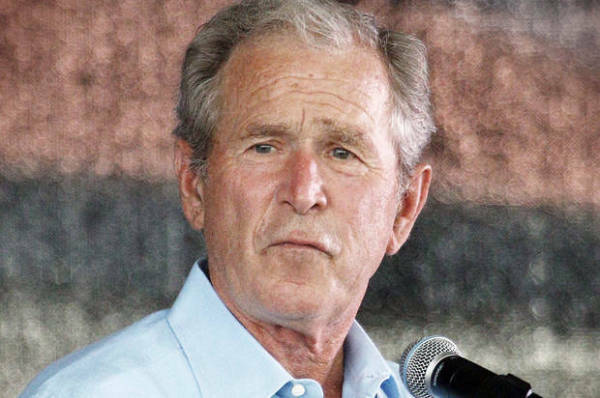 Critics said Bush had used misleading claims about Iraq’s WMDs as a justification for the invasion of that Middle Eastern nation. Additionally, after Hurricane Katrina devastated America’s Gulf Coast region in August 2005, resulting in some 1,800 deaths and billions of dollars in damages, the Bush administration was widely criticized for its slow response to the disaster. A troubled economy also contributed to Americans’ dissatisfaction with Bush. He began his presidency with a federal budget surplus; however, factors such as the enormous cost of fighting two wars and the broad tax cuts led to annual budget deficits starting in 2002. Then, in 2008, with America experiencing its worst financial crisis since the Great Depression, Congress passed a series of controversial Bush administration-sponsored plans to bail out the financial industry with hundreds of billions in federal funds. Bush also lobbied unsuccessfully for a plan to replace Social Security with private retirement savings accounts. 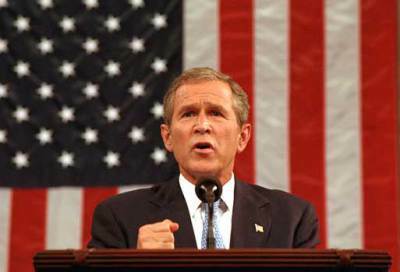 Throughout his terms, Bush rarely wavered from his stance as a social conservative. He made two nominations to the U.S. Supreme Court, both in 2005: Chief Justice John Roberts (1955-) and Samuel Alito (1950-), both regarded as judicial conservatives. Following the January 2009 presidential inauguration of Barack Obama (1961-), Bush left office as a polarizing figure. He and first lady Laura Bush returned to Texas, where they divided their time between homes in Dallas and Crawford. In 2010, Bush released a memoir, “Decision Points,” in 2010, but otherwise maintained a low national profile.